Saturday 1st Spent most of the day travelling then stopped here at the Royal Dunkeld Hotel. There was a Scottie dog here called Fergus at the same time as us. I thought I had a brain tuma [Oh, come on. I was a better speller than that.] coz I’d had a headache all day but Mum and Dad said it was sinusitis coz it was in my nose too. At tea there was this man with really bad B.O. and we had to move coz Abby was nearly sick! Sunday 2nd I got even more worried about my brain as I had another headache. We stayed overnight ay my cousins’ house in Wick but their family went away so we didn’t see them then. 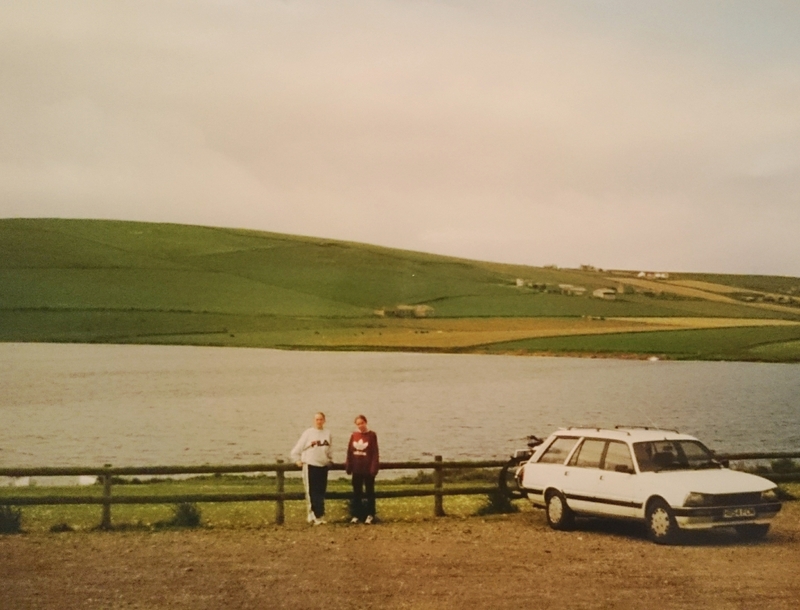 When we got there we realised that the tickets for the ferry to Orkney were gone so Mum had to sort it out. I needed a hug for some reason and started wishing I had a boyfriend. I dunno what brought it on but then I remembered that I could’ve been going out with Ralph. Yuk! On the way to Wick, we had a toilet stop in Aviemore and saw Smithy (in Year 11) and his brother from our school. I don’t think they saw us though. Monday 3rd We got the ferry over to Orkney. It was a bit choppy but I was okay. So was Mollie. We weren’t sure how she’d be on a boat. 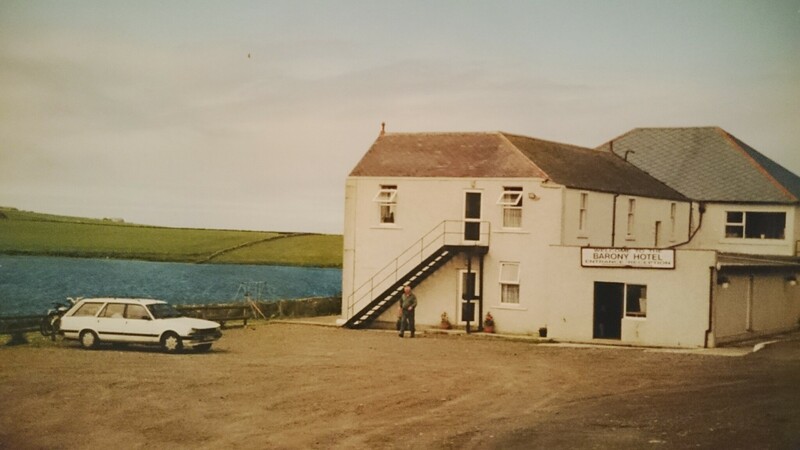 We had our 1st night at the Merkister Hotel by Loch Harray. Brown and boring summed it up. Dad couldn’t fish coz it was too windy. I did see a lad at the hotel but only from a distance. Everyone else was at least 60 except my family. Tuesday 4th I saw the lad again. This time he was wearing a baseball cap and was going fishing. He was sorting out the boats so I think he worked there. He wasn’t bad looking. He was tall with dark hair and about 16. We also went to see Uncle D, Auntie M, David and Harry at their new house. They have 2 kittens called Lucky and Gismo. So cute! Wednesday 5th The lad at the Merkister saw me. I got a closer look. He wasn’t very nice but wasn’t bad. 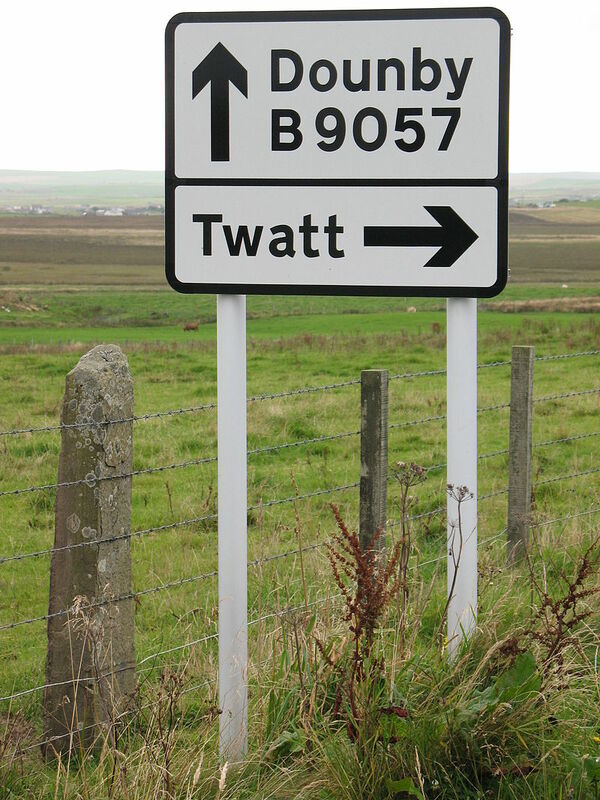 On the way to our 2nd hotel, the Barony, we discovered a place called Twatt! Ha ha! The Barony is better coz it’s not as brown as the Merkister and there’s a little kid called Sarah there who’s 6 with her little brother Scott who’s 4. They live there and Sarah was funny at tea. She’d been telling us about some people who worked there. She then pointed out a waitress and we asked what the waitress was called. Sarah said she wasn’t sure but it was “N or something”. She went to check and it wasn’t N, it was Dee. Getting her letters mixed up! We also visited Uncle D and co today. Thursday 6th Went into Kirkwall and bought a Reebok sweatshirt, black combats [Ah, combat pants not Adidas/Kappa pants. This must’ve been the All Saints era. ], touchstone [What? 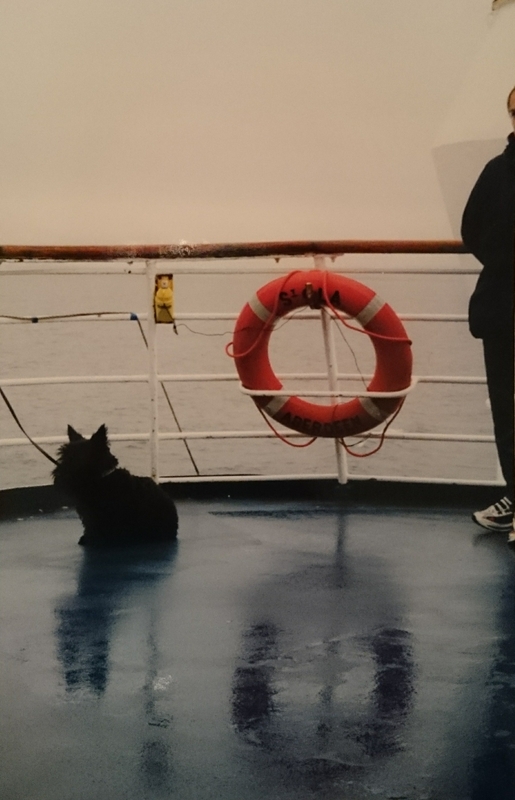 ], and a mini Scottie dog. We also went to see Uncle D at The Body Shop. Dad finally got to go fishing even though it was still windy. He caught 4. At Kirkwall there was this gorgeous lad with an alright mate who walked past. The gorgeous one looked at me and again when we were walking off. I know coz we both looked at the same time. He was blonde, tallish (but not lanky) and drop dead gorgeous. Friday 7th We said bye to Uncle D in Kirkwall and went to Stromness to get the ferry to Scrabster. On the crossing we saw puffins, a shark’s fin and a flat fish thing and tonnes of jellyfish. We were finally back in Wick but had to wait for my cousins to come home. Rhian’s room smelt really bad! I think summit was going mouldy in there.